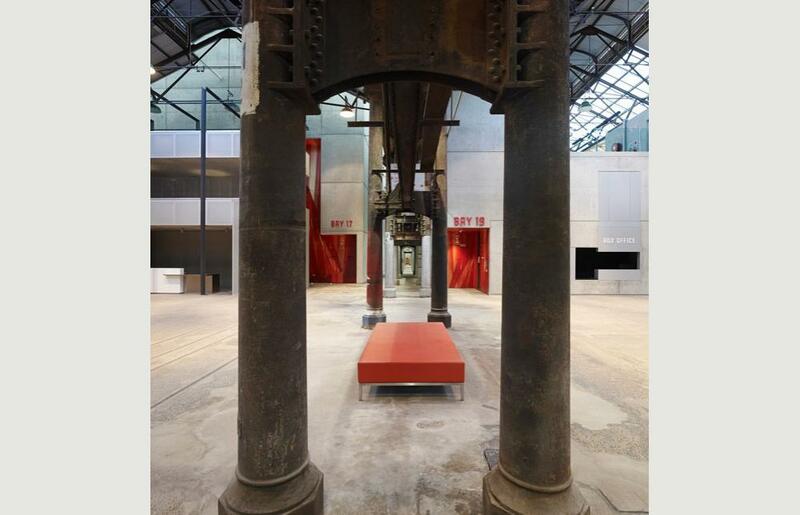 More »The Carriageworks Arts Centre is located in the 1880s Carriage Works of the disused Eveleigh Rail Yards in Sydney’s inner west. 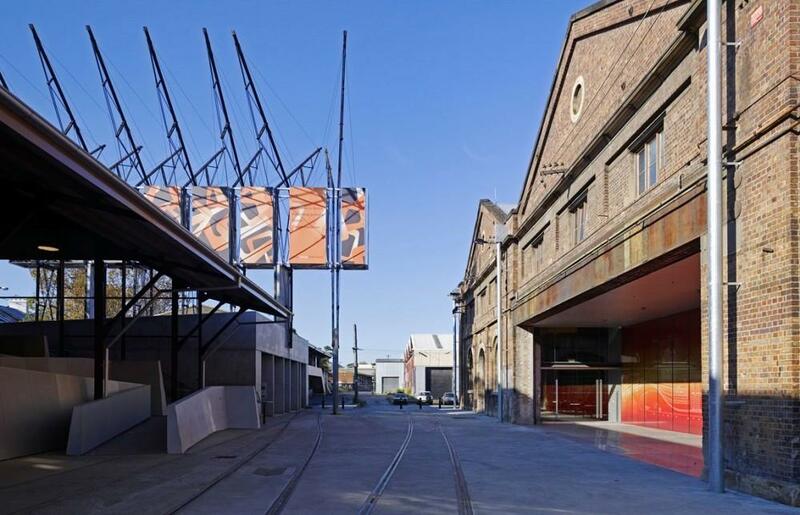 It was the first stage in a new creative arts precinct that is to include both cultural and residential components. 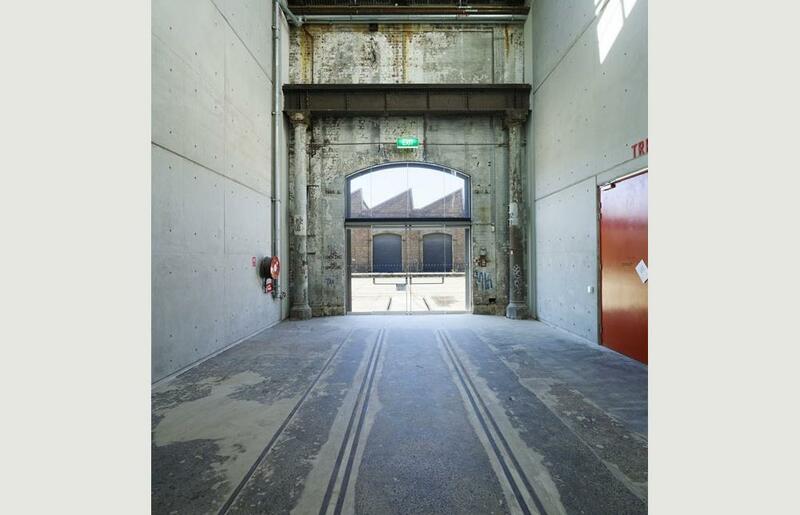 The Carriageworks is one of a pair of buildings; the other, the Locomotive Workshop, is located on the southern side of the railway and has been converted into technology research and office space. The former Carriage Works is a long 19th Century brick ‘shed’ with repetitive iron-framed gabled bays. Carriages were built and repaired here for over a century, and the building retains its original built fabric and industrial atmosphere. 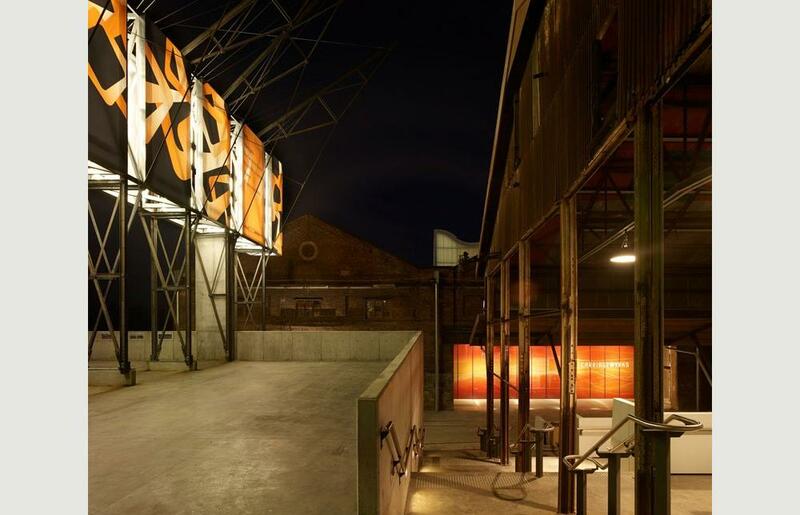 Tonkin Zulaikha Greer’s adaptive reuse of the building as the Carriageworks Arts Centre has embraced the building’s past whilst providing it with a bold new future. 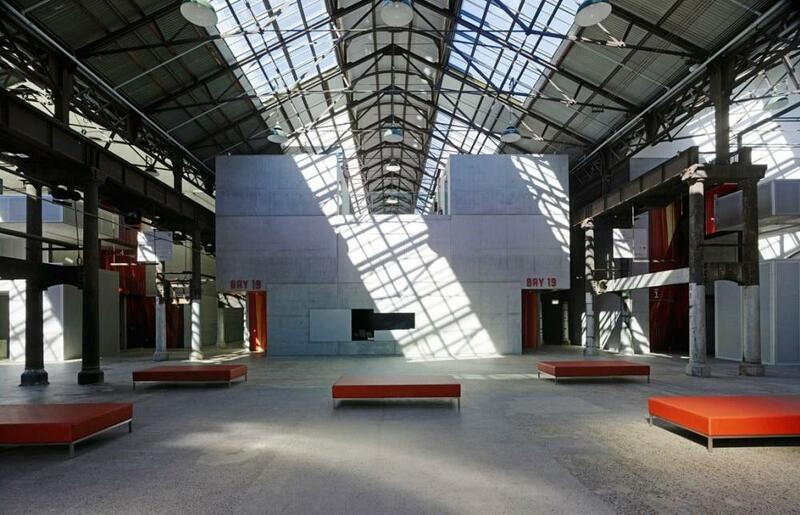 Three fully serviced, flexible theatre spaces – small, medium and large – rehearsal rooms, administrative offices, workshop space and amenities are housed in discrete concrete boxes. These are clearly articulated from the heritage fabric, which retains its patina of age and use and its remaining industrial artifacts. The new containers are freestanding acoustically isolated, in situ concrete forms. 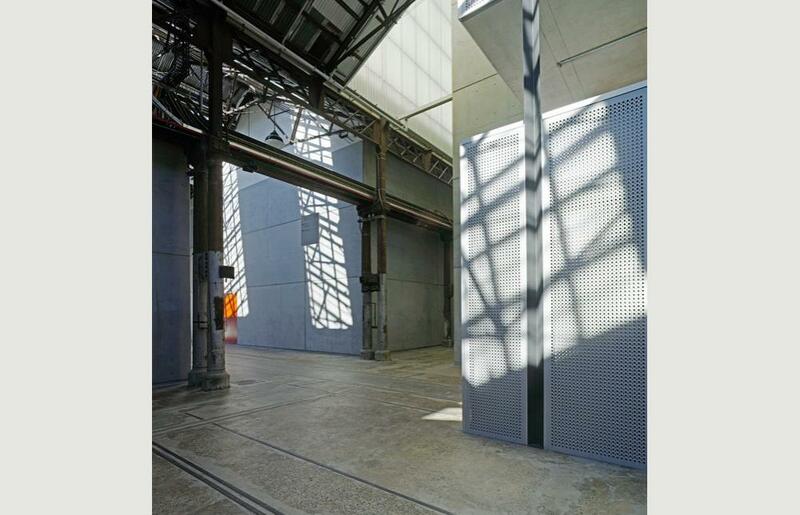 The budget prohibited any degree of pattern or finish to the concrete walls, so we designed them to be light in colour, in order to catch the passing sweep of shadows generated by strategically located, reconstructed historical skylights. The linear entry structures to each of the theatre spaces are like ‘ghosts’ of the carriages that once moved through the space. 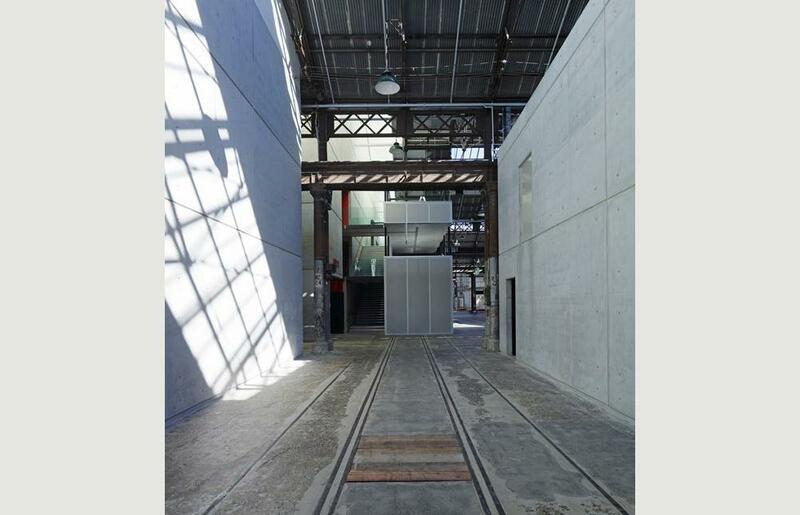 The front of house is divided by glass doors from the back of house activities, which are located adjacent to the railway tracks. The new concrete forms stand free of the rows of original cast iron columns, creating circulation routes in the interstitial spaces with views through the building. The foyer spans the entire width of the building. 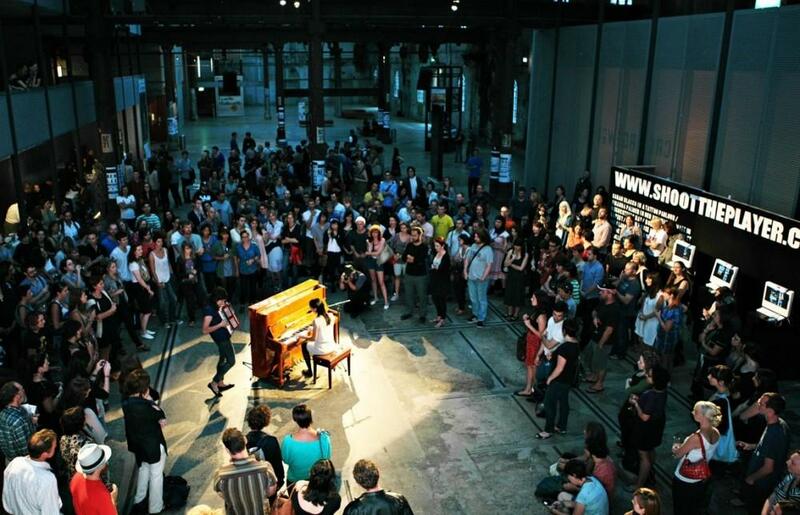 This non-hierarchical planning strategy differs markedly from the hierarchical space of conventional theatre. 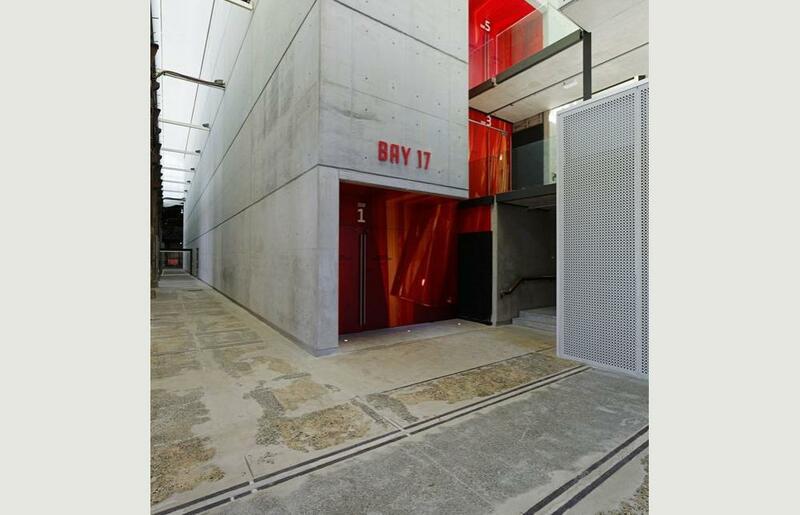 Bay 17, the large performance space, has been designed for experimental and physical theatre. This required removal of a portion of the original wrought iron framed roof to achieve the briefed height. The new elevated roof echoes the rhythm of the original roof monitors and reads as a glowing beacon. 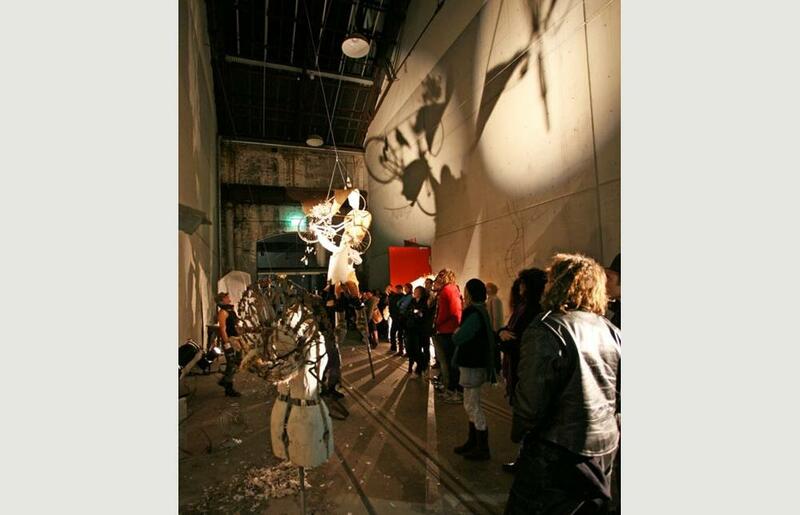 This principal performance space has two ‘skins’ of concrete walls, located three metres apart, forming a box within a box. Besides producing acoustic isolation, the separation offers a circulation zone for patrons and technicians. These two containers ‘float’ on neoprene pads to remove all ground vibration generated by the main trunk railway line 30m to the south. The new building uses construction materials typical to our period – reinforced concrete, hot rolled steel and aluminium, just as the original building used material of its period – brickwork, cast and wrought iron. 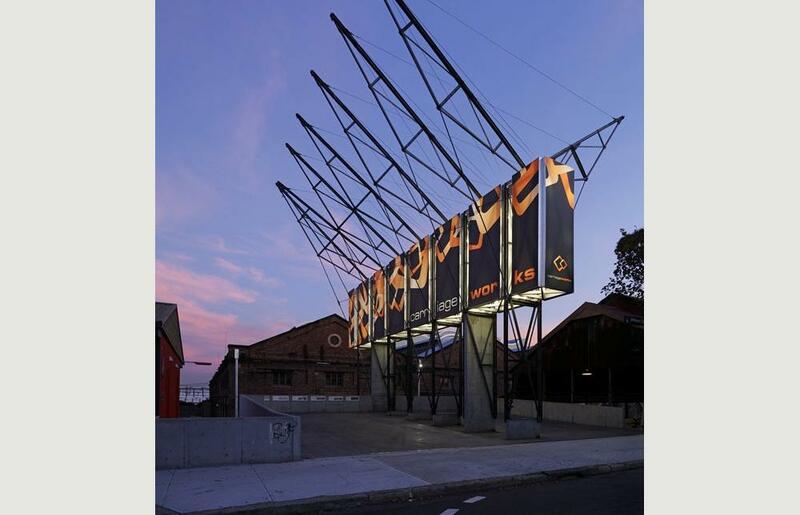 The original trusses have been reused as a sculptural entry structure, located on Wilson Street, to herald the new use.